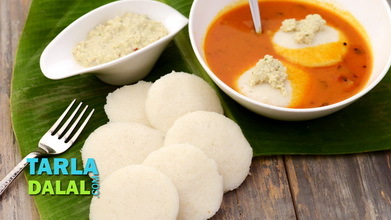 This is how South Indian typically finish off leftover idlis made properly, it is so tasty that you can even serve it to guests. 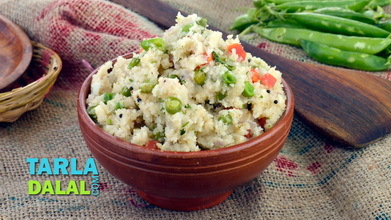 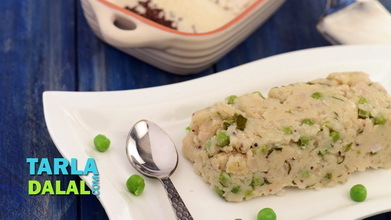 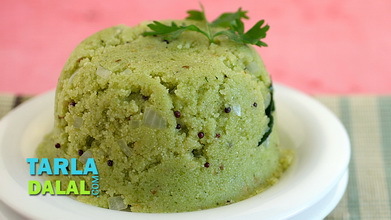 Sometimes, people even make Idli upma out of fresh idlis, as it is an interesting alternative to usual Idli and dosas. 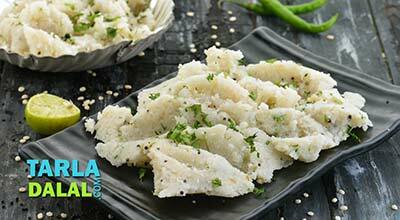 Crumble all the idlis in a deep bowl and keep aside. 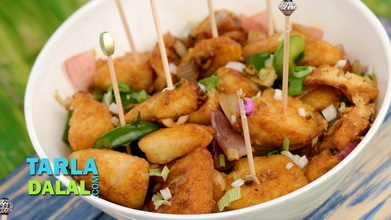 Heat the oil in a broad non-stick pan, add the mustard seeds and red chillies and sauté on a medium flame for a few seconds. 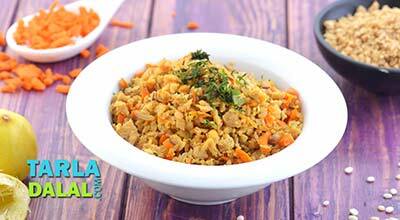 When the seeds crackle, add the carrot, green peas, tomatoes, salt and 2 tbsp of water, mix well and cook on a medium flame for 1 to 2 minutes. 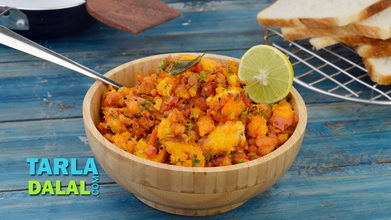 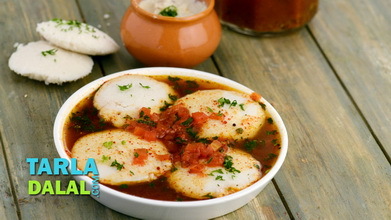 Finally, add the crumbled idlis, mix gently and cook on a medium flame for 1 to 2 minutes, while stirring occasionally.